First Words 7+2 · Early Reading A to Z, TechMe Letter Recognition and Spelling (Animals, Colors, Numbers, Shapes, Fruits) - Learning Alphabet Activity Game with Letters for Kids (Toddler, Preschool, Kindergarten and 1st Grade) by Abby Monkey® by CFC s.r.o. With many unique modification options, your children are bound to find this app both educational and enjoyable. Two game modes offer variety, and settings options offer an ideal way to make thip app tailored to your children needs (whether they already know some words or are just beginning to learn them). 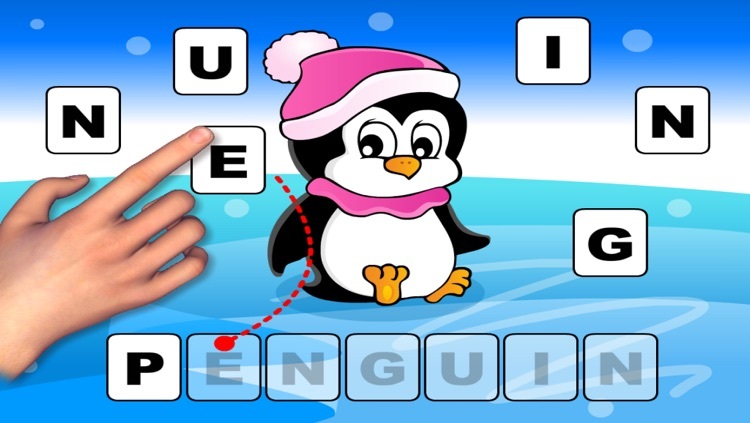 In the game mode, your task is to match all the picture icons of the words to their written names. The game has three rounds. To keep children motivated, the best score is calculated at the end of the game, so that children can aim for their better and better scores to be saved in their personal Hall of Fame. 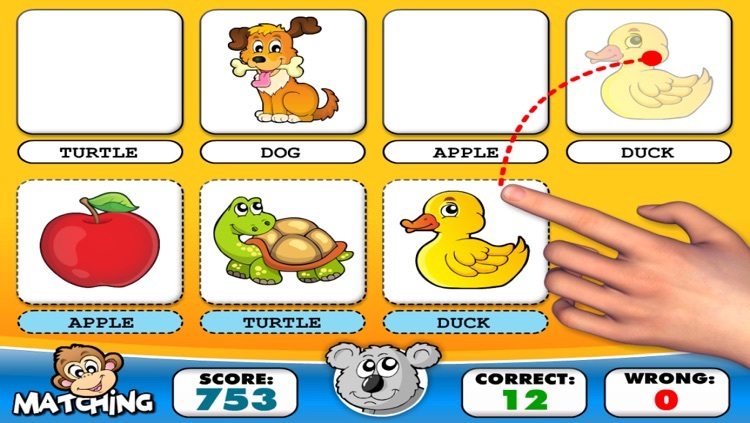 Thanks to the modifications, this game can be transformed both to an easy matching game for small children (where children familiarize themselves with the written form of the word by visually looking up two same words and matching them) and an ultimate reading challenge when children have to match the picture to its letter notation. Here, the task is to learn to compose the word from letters. This is also where the well-loved monkey Abby comes on stage! 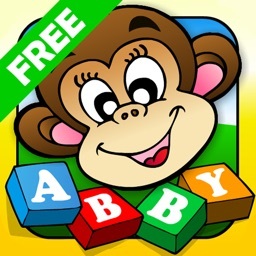 Abby is a fun monkey who loves to praise children. Children will love her creative ways and will always be wondering whether she arrives with her car or downright emerges from the underground! 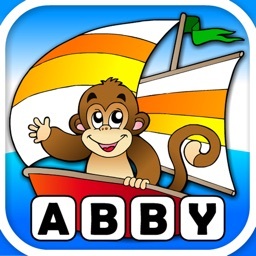 This time, because of numerous wishes, we also added Abby the Skater! 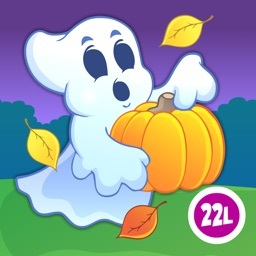 Thanks to a wide range of modification, this app is one of those, which will grow with your child. 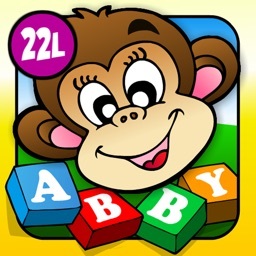 Let's look together on how you can adjust this app to suit just your child! * As noted above, the game mode can be accommodated to either matching mode for very small children or to a reading mode (labeling of the pictures-to-be-matched is turned off) for those who are slightly more advanced. 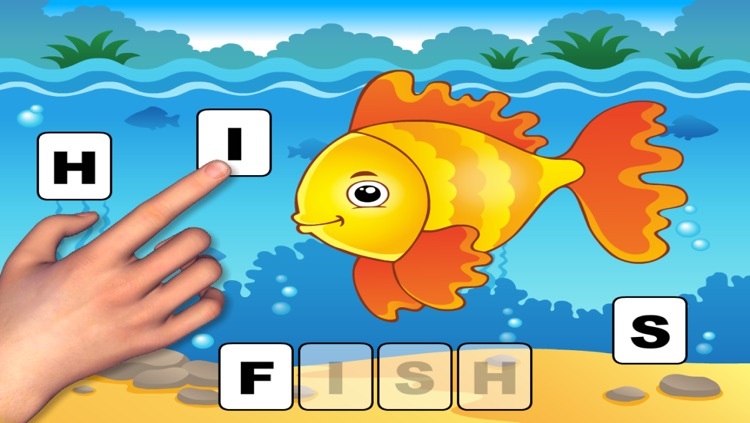 * For convenience, you can choose whether the letter sounds are going to be read aloud in the learning mode when the letters are manipulated. * The same way, you can choose whether you prefer lower/upper case letters or if you want the words to be capitalized. 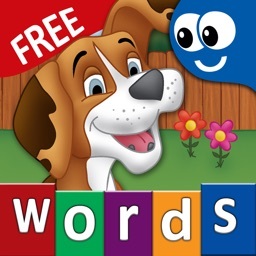 * In order to make the game age-appropriate, you can also turn on the letter hints, which will make the word composition game in the learning mode essentially a letters matching game. * Moreover, you can modify the length of the longest word appearing in the application. * The words can either appear in a random or alphabetical order -- an alphabetical order can be better for learning, while a random order for testing of already acquired knowledge. 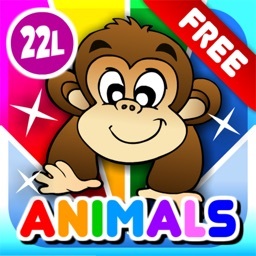 Based on our twenty-year old experience in the design of fun educational tools, we made considerable effort that this app is as appropriate and easy-to-use for this very special age category as possible.